Housewarming is a celebration in honor of moving into a new house. Housewarming parties help the proud owners to show their new house and it also helps them to get to know their new neighbors. As a thumb rule, a house warming party can be thrown by the homeowners or by anybody known to the home owner, who wishes to commemorate the purchase. Like all other parties, one needs to plan in detail for hose warming. Are you an enthusiastic cook or a love to collect yummy recipes then why not select a Betty Crocker theme for your celebrating the purchase of your new house. You can print invitation cards in shape of an Apron or a Chef’s hat and mention the venue details on it. You must ask your guests to bring along a copy of their favorite recipe to the party. Once the invitations are sorted, you can focus on decorations. You may choose to decorate your hall with streamers entangled with cardboard spoons. You can place a huge bowl to collect the recipes from your guests. It is a good idea to hand over jar of homemade cookies with the recipe printed on it as a party favor to each guest as they leave. If your new house has a swimming pool or if it is one of the features that motivated you to buy the property then you can throw a pool party or a poolside party. Invitations for pool parties can be designed with a background image of a swimming pool. 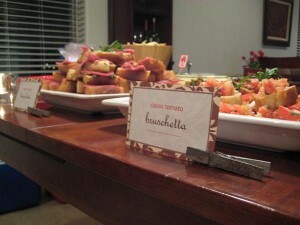 You could have array of finger foods and refreshments as food at the party. It is important that you specifically ask your guests to bring along their swim suits for the party. Also let the invitation be specific about the timings for the bar counter. You can choose to give away customized fish stuffed toys or fish shaped center-pieces as the party favor. You can bring in a lovely twist to your conventional house warming party by making it a barbecue themed party. It is important that you have some free space in your backyard and a barbecue grill for the party. You may also ask the guests to bring along their favorite barbecue seasoning for the party. This will help you to have large variety of food at the party. Party favors for such parties could include your favorite barbecue recipe or a lovely hand drawn thank you card in shape of a barbecue grill. Barbecue parties can be extremely fun with some interesting and fun game events intertwined in it. It is important to have lot of other finger food apart from barbecue specialties to treat the taste buds of your guests. The open house theme is one of the most conventional house warming party themes. In this theme the guests have the levy to arrive at the party at their own convenience. You can arrange tours of your home as and when the guests arrive. It is important that you specifically mention that it is an open house party on the invitation. Party decorations could be as per your choice or you could have a sub-theme for the decorations. Party favors could range from Thank you cards to savings coupons, bracelets or key chains. Monogrammed key chains that say “A & B house warming party followed by the date” are extremely popular party favors for open house parties. This theme is best suited for close friends and family. As the name suggests, this theme works by helping the homeowners move in by unpacking their boxes and arranging the stuff for them. You would need to ensure that you mention on the destination room on each box. Do not forget to mark the fragile item boxes. 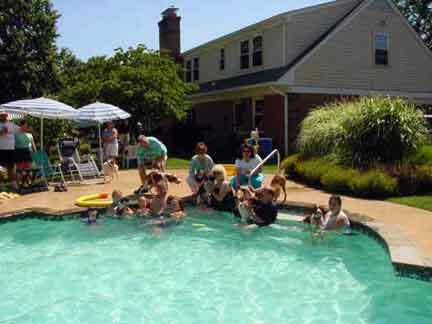 Refreshments and drinks have to be provided by the home –owner at such parties. Unpacking theme parties can be fun and purposeful as they help the family to settle in comfortably as their friends and loved ones help them in unpacking and arranging their stuff. It is a good idea to check with your friends if they are comfortable with the theme before you finalize on it. If you have purchased a house that has some lovely landscaping then you can definitely opt for a garden themed party. You can arrange for refreshments and drinks in sync with the theme. Opt for varieties of salads, fresh fruits and veggies in your party menu as they are closely related to your garden theme. You may give away a potted plant to each guest as a party favor at the end of the party. Floral decorations are apt for the garden theme. You may even opt to give away small vials of floral based essential oils as a party favor in such parties. This theme can make your house warming an affair to remember. You can plan the pot luck theme in case you have ample backyard space where you can cook or you have a large kitchen to accommodate the theme. Under this theme, you can ask each guest to bring along their favorite vegetable or fruit to the party. Stew an amazing dish mixing those delightful veggies with chunks of meat. Arrange for other party foods like cup cakes, salad dressings, chips, desserts etc. You can serve the dish cooked as a part of the main course. You can also ask somebody to write down the recipe while you are cooking. You can print several copies of the special pot luck recipe and pint it on your party favors. This is one of the most sought after party themes. You can have the invitation that goes with words like “check out our new nest on…” You can decorate the house with angry birds merchandise, welcome banner etc. Party foods could include a cake in the shape of your favorite angry bird along with array of meat and veggie dishes. It is a good idea to have wide assortment of finger foods at such events. Party favors could include monogrammed angry birds key chains or angry birds stuff toys. You can have interesting games to enhance the fun quotient of the party. You can also have a block party where you extend the invitation to your new neighbors along with your friends and family. Such parties help you in getting to know your neighbors in a short span of time.